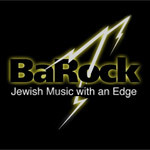 BaRock Orchestra combines a unique blend of traditional simcha music and contemporary styles of today. Steeped in the traditions of more heimishe, traditional simcha music, they also incorporate elements of Klezmer, Israeli, Sephardic and Jazz in their performances. Get more for your wedding! Don't forget to mention ChossonKallah.com when visiting BaRock Orchestra. This is a great band! Their music is always perfect for the time in the wedding, they don't play too loud, and give great energy to the whole experience. They're able to play a great mix of music, whatever you want. They never stop playing for a second! Highly Recommend! !